At Beightons it is you, the client, that comes first. We are continually working to an excellence of service that exceeds all expectations of our clients. As our firm has expanded our philosophy has not changed. We are progressive, working with a strong desire to protect the interests of you, the client, at all times with our highly efficient team of experienced trained lawyers. Based in Derby, the practice was founded in 1973 with a strong local client base. We are recognised as a regional leader in the field of charity law, but whichever area of law you wish to seek advice on, be that leasehold and freehold property, charity, business and commercial, wills, probate and many more, we can advise you quickly and efficiently. 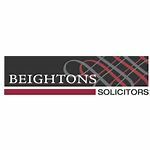 A determination to exceed all expectations coupled with our proactive approach has ensured that Beightons has seen tremendous growth over the past few years. We offer a broad range of services, our approach is informal and unstuffy and when you choose to instruct us we feel sure that you will be pleasantly surprised at both our attitude and cost.